The idea for this blog came from a real life situation, which means it’s a case study about a case study. We were getting ready for a presentation to a new prospect in the healthcare vertical. 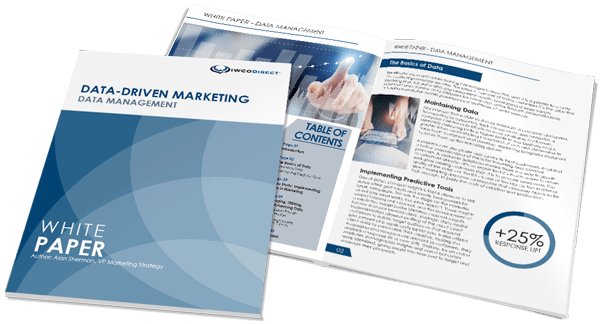 The presentation included a case study which told a phenomenal story about working with a client to improve ROMI (return on marketing investment) on their Medicare Advantage program. The first bullet in the case study mentioned the client’s AEP campaign. Since it’s that time of year for many, you may instantly recognize the acronym for Annual Enrollment Period. If you didn’t know immediately what it means and turned to Google, you might wonder what American Electric Power had to do with healthcare. As interesting as that acronym could have made things, the true “Aha!” moment that reminded us to take care when using acronyms actually came in the next section of the case study. When describing our solution to improve ROMI, we mentioned the steps we took to analyze the data file to take advantage of ECR opportunities. In the postal world, ECR means Enhanced Carrier Route. In the healthcare world, ECR means Electronic Cost Record or Elder Care Resource. Imagine reading the slide from the healthcare perspective and trying to figure out how IWCO Direct was able to drive postal savings of more than $576,000 by taking advantage of elder care resources. Are you picturing millions of retirees delivering mail as a way to get exercise? I recently found a book titled “Glossary of Postal Terms,” tucked away on the shelf in my office. The copyright is 1997. The last chapter of the book includes 14 pages of abbreviations and acronyms. There are 308 acronyms and abbreviations in the chapter. Fast forward to 2014 and search Google for “USPS Acronyms.” The list now totals 662. That’s a lot for anyone to remember, especially someone who might not be working in the same short-hand environment as you. That’s why it’s so important to over communicate when it comes to acronyms by writing out the phrase first so that the meaning is established right away. In some cases, miscommunication via acronyms could result in life or death situations. In 2001, a governing body called “The Joint Commission” issued an official “Do Not Use” list on the subject of medical abbreviations. Acronyms were included in the category of abbreviations. The “Do Not Use” list – which they do not seem to refer to as “DNU” – identifies abbreviations and acronyms that should not be used, for the potential problems they could create, such as confusing morphine sulfate with magnesium sulfate since MS can be used for both. Our sales presentation didn’t create a life-threatening situation but it did garner lots of interest and excitement about our ability to increase response while cutting postage costs. It also taught us a good lesson about understanding our audience and speaking in their voice with their acronyms. At the risk of making eyes roll for regular readers of this blog, we learned that speaking directly is the best approach. *At the moment, I’m shaking my head and laughing out loud at the amount of work that goes into crafting a Twitter post. Only 140 characters? Oh my goodness—are you serious? In some environments, acronyms are just business as usual and no big deal, but as far as I’m concerned, it’s impossible to know the meaning to so many abbreviations.